With a stay at Hotel Estate in Rimini (Torre Pedrera), you'll be within a 15-minute drive of Rimini Fiera Expo Center and Italy in Miniature. 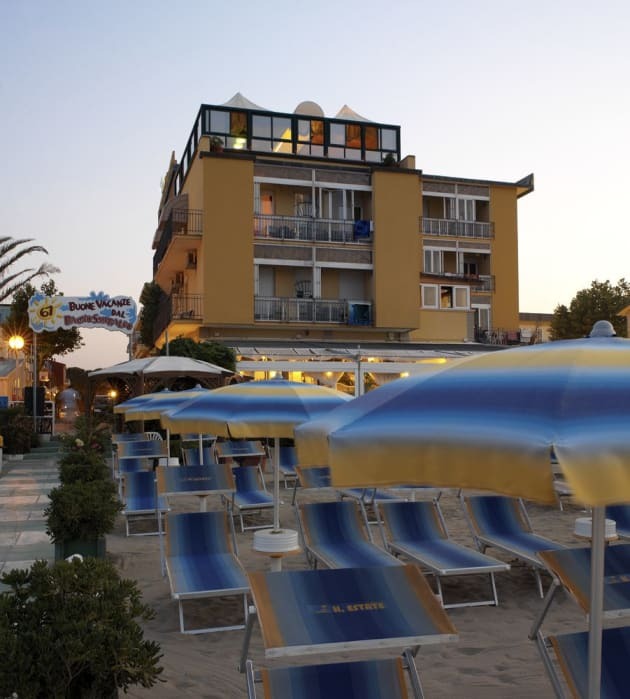 This 4-star hotel is 6.8 mi (11 km) from Rimini Beach and 6.3 mi (10.1 km) from Arch of Augustus. Offering free rental bike, Princier Fine Resort & SPA is located in Viserba. Free WiFi access is available throughout. Each room here will provide you with a flat-screen TV and air conditioning. Featuring a bath or shower, the private bathroom also comes with a hairdryer and free toiletries. A continental breakfast is offered every morning. It includes hot drinks, croissants, cheese and cold meats. At Princier Fine Resort & SPA you will find a garden and a bar. Other facilities offered at the property include a sauna, hot tub, spa and wellness centre. Rimini Viserba Train Station is a 10-minute walk from the property. Riccione is 20 km away.